Digital Risk recently polled Millennials about the housing market. Among their findings was the fact that nearly two-thirds of the generation who have recently purchased a home, have done so with less than 20% down; with 36% putting down less than 5%! This means that more and more American’s between the ages of 18 and 34 stopped paying their landlord’s mortgage and started building their own family’s wealth. 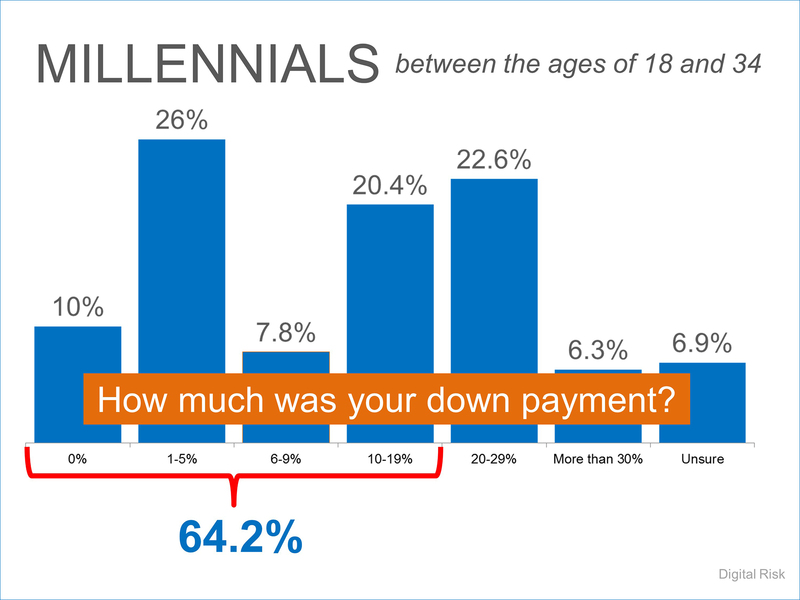 Millennials aren’t the only ones taking advantage of lower down payments. 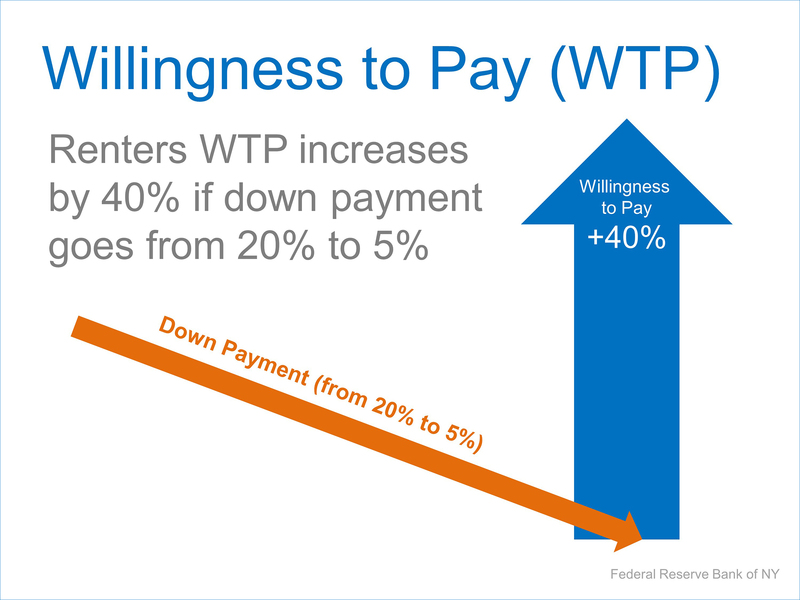 The Federal Reserve Bank of New York found that if the down payment required to purchase a home went from 20% to 5%, a renter’s Willingness To Pay (WTP) increased by 40%. The problem is that thirty-six percent of Americans still think a 20% down payment is always required when buying a home. Many renters may actually be able to enter the housing market sooner than they ever imagined with new programs that have emerged allowing less cash out of pocket. 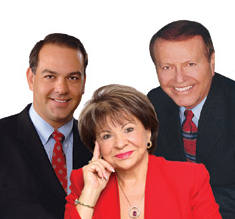 If you are one of the many renters now realizing that the home of your dreams is obtainable now, let’s get together and discuss your options.